With the onset of rain in our forecast we are happy to be getting the water and man do we it. It is due to rain tomorrow and Saturday, but better yet it is supposed to snow in the mountains! Snow pack is really what we need to store the water for later months. We are happy to have the water, but at the same time, the almond blooms are open and being pollinated. The Almond bloomblog discussed pollination in more detail. If water gets in to the blooms then we could have fungal diseases on the almonds. This could result in infected almonds and crop lose. So with the rain coming we are doing a bloom spray. This bloom spray consists of fungicides, which are mostly copper based. Fungicides are used to prevent fungus from growing or to block the fungus from infecting the almond. These fungicides act as a layer of protection to keep the fungus from forming on the almonds. With bloom spray we will be able to protect our crop from any fungal diseases and enjoy the rain! With land prices increasing and resources becoming even more scarce it is getting harder and harder for the farmer to expand their business. Farmers are looking for other ways to maximize the amount of farmable acres in our fields. We thought of an opportunity on the last field we purchased. They previously farmed hay on the property and flood irrigated their crops. When we planted almond trees we installed a drip irrigation system. Drip irrigation is a more efficient way to irrigate trees, and when there is such little irrigation water we always turn to efficiency. Four years later, we still had this tail pit on a corner of the field from the flood irrigation system that we weren't using anymore. We have a large reservoir we use on the other side of the field and no need for a small pit as well. Last week the bees arrived! The bees come into the orchard when the blooms are starting to push open. We want the bees to be in place and acclimated by the time the orchard is in full bloom so they can start getting busy and spread pollen. Bees are an essential tool to pollination of the almond blooms. Almonds are self incompatible meaning they require cross pollination between varieties. For this reason each almond orchard has at least two different varieties of almonds to ensure pollination. Almonds are dependent on bees to take pollen from one variety to another. You will commonly see orchards in which every other row is a different variety or some times there is also three varieties in an orchard. The varieties are picked by the almond farmer based on pollination compatibility and yield. Happy Valentine's Day- Let's thank a farmer! Many people think of Valentine's Day as a romantic, gushy holiday. While some of you may be dreading today because you may not have a lover, or you may be waiting at the door for the flower delivery truck, others are working hard to delivery you those roses on time. From a person who worked as a florist through college, it is nice to be on the receiving end instead of the arranging end. When I first entered the blog world I was welcomed with open arms by many. I quickly realized there was a little community of people that I was missing out on for so long. Through my adventures and discovering other agriculture bloggers I came across Housewives of Rural America. 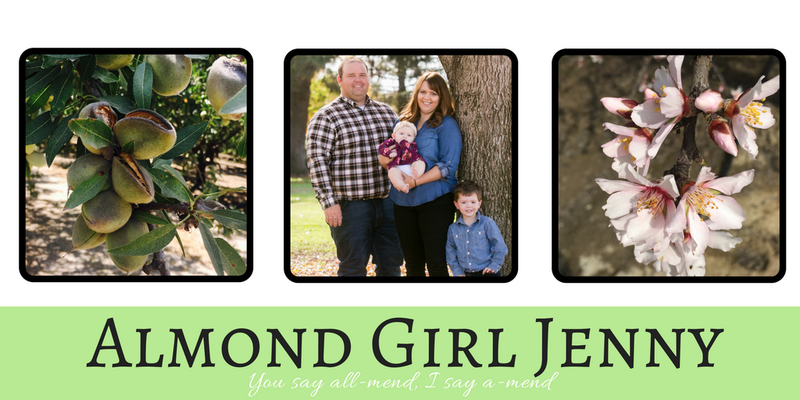 I was given the opportunity to be a blog contributor for them and today was my first blog! 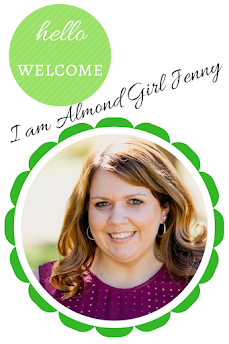 I am beyond excited to join some awesome women from across the country who share my passion for agriculture! Check out the link and 'It's not the destination, it's the journey'! How is the CA drought going to affect you and what can you do? News this week, the Department of Water Resources has lowered the state water project allocations to zero percent. This is the first time in recorded history that farmers and municipals will receive zero percent of water they paid for. Some farmers and cities do have ground water supply, local reservoir sources or a balance due to them but this isn't enough. There are plenty of farmers who have no other source of water. What does that mean to you? According to CDFA, if California were a country, we would be the fourth largest agriculture producer with $44.7 billion in revenue. California is the sole US producer of almonds, artichokes, figs, dates, raisins, kiwis, olives, clingstone peaches, pistachios, plums, pomegranates, sweet rice, and walnuts. Wow thats a lot of crops, farmers, laborers and consumers depending on California and our water!